Shingle Roofing Baltimore - AmeriRoofs Inc.
Asphalt shingles are the most popular type of residential roofing today and provide one of the most cost effective solutions for your roofing needs. 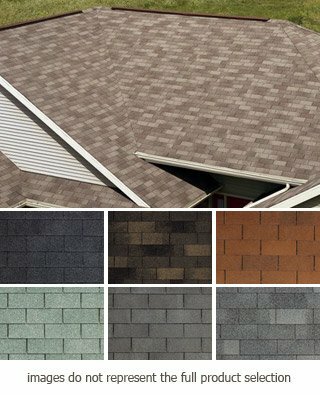 Most manufacturers offer shingle warranties of 20-50 years, and some systems offer a limited lifetime warranty. The most common shingle in the market. 3-tab shingles are a common form of this style, and simply are single-layered asphalt shingles. They are manufactured in many different colors. Ameriroofs expert shingle installers are certified in all major shingle manufacrures icluding Certanteed, GAFELK, Owens Corning. Feel free to contact us today to learn more about how we can assist you with our roofing istallation and repairs services or submit a request form to set up a free estimate and in-home consultation.